D’Aplolito’s documentary is exactly what one would expect of what homages do – interviews from close firms and family, detail of the subject’s youth and influence, the rise to fame, the subject’s talent and perhaps some faults may it be alcohol or drug use. This is the reason the doc is so unimpressive. There are no surprises. In fact, none of Gilda’s flaws are mentioned. One can either assume she did not use any or she did and the point left out. It should be noted that Gilda hung around John Belushi in SNL, a heavy drug and alcohol user. Belushi died from a drug concoction of heroine and cocaine. The film traces Gilda’s influence coming from being inspired by Charles Chaplin and Lucille Ball (the doc includes a few short clips of Chaplin and Ball). Gilda grew up with naturally born talent, first amusing her father when he came home from work. Sadly he left her at the tender age of 14. D’Aplolito provides a glimpse of her dad coming out of a swimming pool. The multi-talented writer, singer and performer first shone at the Second City comedy club in Toronto. 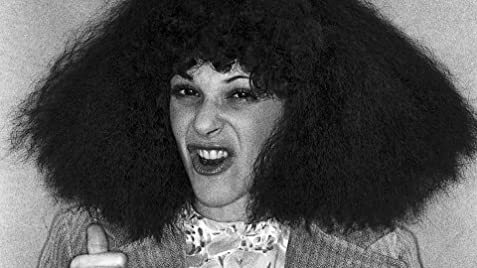 She was an original cast member of Saturday Night Live (SNL), creating characters like personal advice expert Roseanne Roseannadanna and reporter Baba Wawa. She performed her one woman Broadway show to rapturous audiences and left a modest mark on the movies with roles opposite her second husband Gene Wilder in the likes of Hanky Panky (1982) and The Woman In Red (1984). The doc also mentioned her big flop comedy directed by starring her and Wilder, HAUNTED HONEYMOON. The interviewees in the doc include her brother and other close friends. Current SNL performers like Bill Hader, Melissa McCarthy and Amy Poehler also have they say. There is quite a bit of archive footage with Gene Wilder, who the doc is quick to mention is not a comic but an actor in comedies. But for a doc about such a lively artist, the doc does not match her spirit. Her comedic routines on display are not her best and do not elicit laugh-out laughs. They are mildly humorous at best. This is best described to be similar to an SNL episode – a ht or miss, as in the case of many of the SNL’s skits. So what did Radner contribute to the human race? The doc is quick to point out that Radner made jokes out of her cancer. There is a funny bit with her and Gary Shandling on the topic. Radner was unafraid of pushing the limits of her humour. 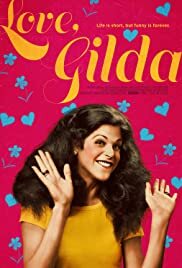 It is hard to fault D’Aplolito’s doc on Gilda Radner. But one would have expected something more biting and funnier. In the end, the doc creates a sadder cloud over the talented comedienne. Death was always her enemy – taking away her loving after at the age of 14 and also taking her away at the early age of only 43.